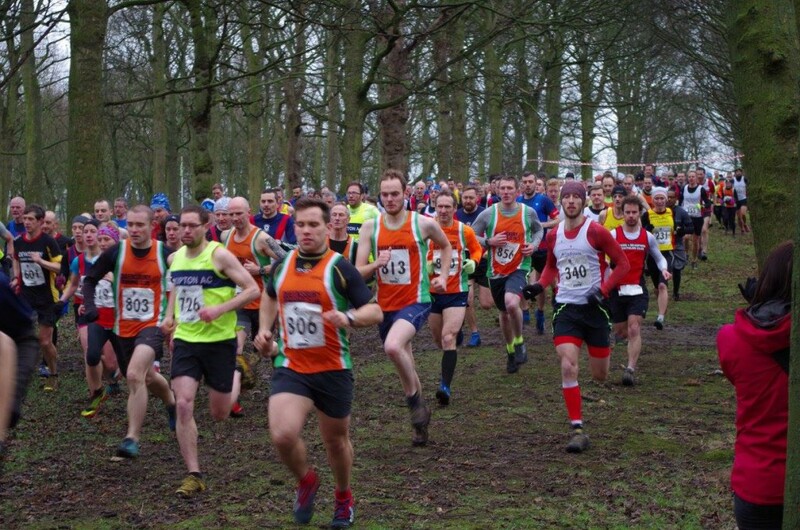 Thirty-nine club members ran in the 3rd cross-country race in the West Yorkshire Winter League series on Sunday 31st January. In short we emerged as the overall winners on the day for the very first time in our history! There were many outstanding performances. Chris Williams, in his first race in the series, was 2nd overall to the regular winner of the men’s event (Ben Mounsey, Stainland). Tom Collinge has competed in every race so far and he managed his best performance taking 3rd place from Julian Hood (Skipton). 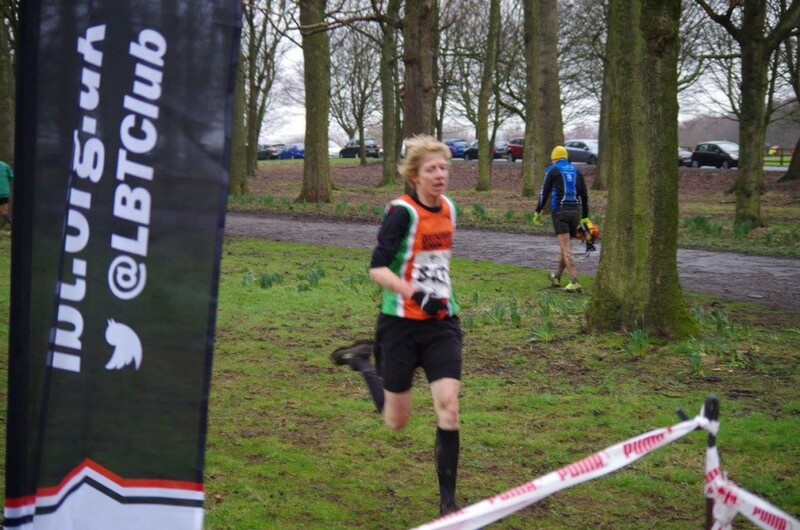 New member, Alistair Galt, proved his ability crossing the line in 26th place. There then followed a remarkable sequence of finishers, including our top veteran runners: Andy Dovernor (32nd), Mick Coe (33), Martin Firth (36), Ben Clare (40), Peter Hughes (42). This ensured a fantastic first place in the men’s event on the day by 40 points over Baildon in 2nd place. A further 21 men completed the course. The women’s team finished 4th on the day with excellent performances by Anna Smith (13th), Jo Horan (16th albeit carrying an injury), Stacey Cleal (17th), Lynne Robinson (26th), Maria Rhodes (37th), Zoe Hipwell (48th), Julie Hepworth (54th), Rachel Kendall (65th), Dianne Simpson (78th) and Sharan Loughran (83rd). The combined efforts of the men and women meant that Queensbury was placed 1st overall on the day, a single point ahead of Stainland Lions in 2nd place and eight points ahead of Baildon Runners. 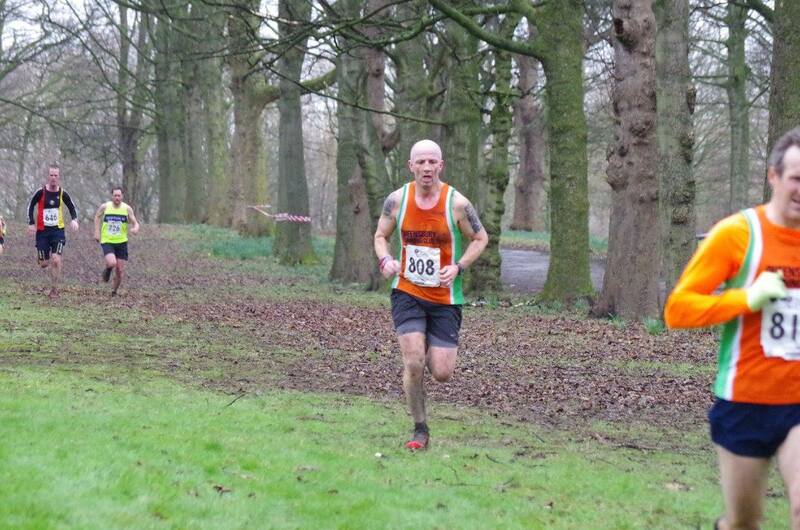 Chris Williams sprints for the line in 2nd place while Tom Collinge secures 3rd place in the background. Queensbury was invited to join the West Yorkshire Winter League in the 2012-13 season. At the time the men formed a small but strong team and they finished the season in the 4th place. However, in our inaugural season there was no women’s team at all. It was not until the 2013-14 season when Anna and Jo started representing the club. By the end of the 2014-15 season the women, now joined by Stacey and Zoe, were placed 7th out of ten teams. This season, with one race to go, the women are 4th out of eleven teams in the same position as the men’s team. Given the competitive nature of the WYWL this is a remarkable leap forward for the club. The achievements at the club have drawn admiration from others throughout the season. The team spirit is exceptional and we celebrate every runner’s achievement. 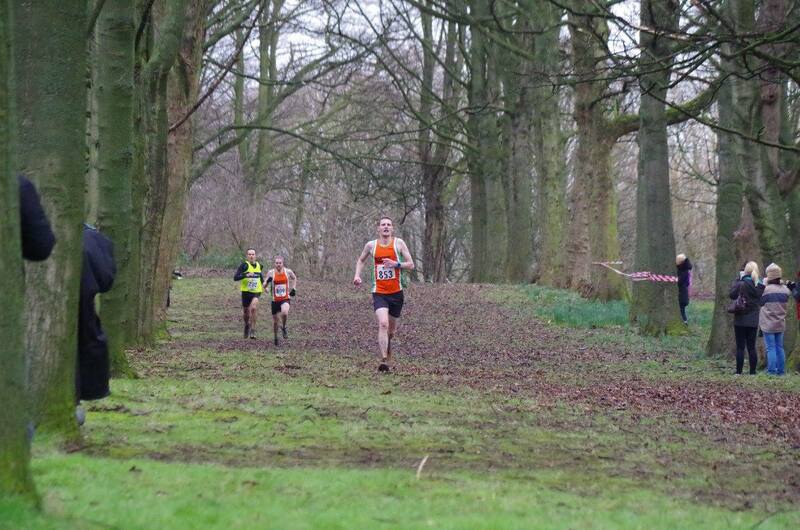 Thanks to those who put on an excellent race at Temple Newsam and to the WYWL organisers for their hard work. Thanks also to Graham Cecil Halstead for the excellent photos. Some of the team before the race. Thanks to Bev Morritt for the photo. 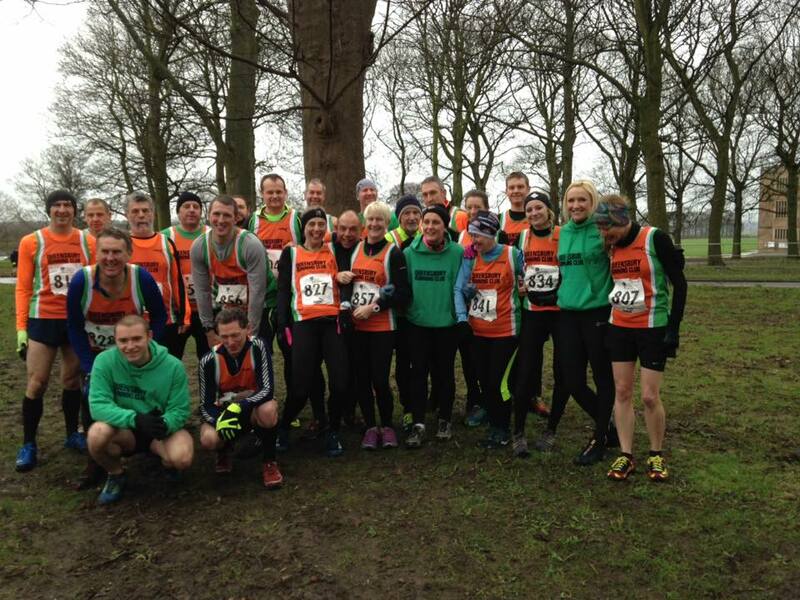 The first West Yorkshire Winter League race, hosted by Dewsbury Road Runners, took place on Sunday 13th December with a HUGE QRC turnout. The results are not available yet but here’s a slideshow of images taken at the race. Pump up the volume and enjoy! 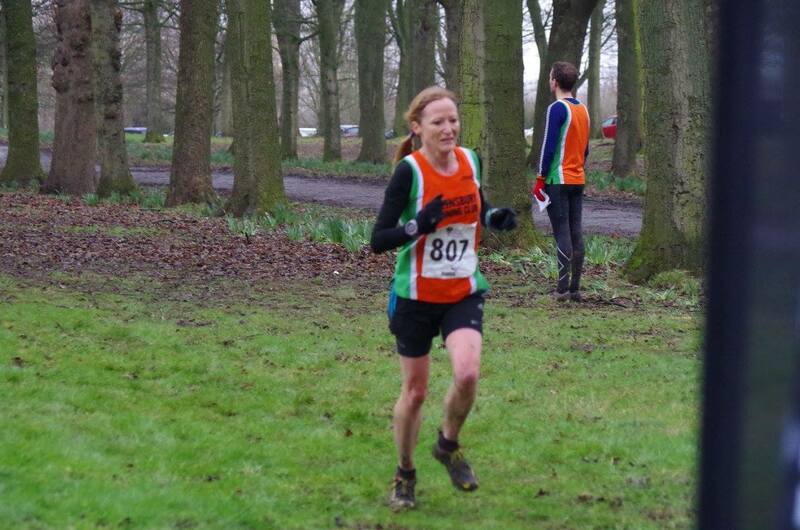 The West Yorkshire Winter League X-Country is almost upon us. All club members can take part in these races for free as the club covers the cost of entry. The races are inclusive of all abilities and a good way to improve your speed, strength and confidence. Please find the following details regarding the first race and out it in your calendar for Sunday 7th December. Parking: Ample parking is available within the mill complex although please travel together if possible. Course: 4.2 hilly miles with 2 main hills. Shoes: Trail or fell shoes are required for this course, spikes are not suitable. Facilities: The cricket club will be open at the start/finish. A great turn out in wet & muddy conditions by the club at Temple Newsam on Sunday. Some great runs too have moved us up the current standings. Mens team is 5th, just 34 points behind Dewsbury! Ladies team is still lacking one runner but only 36 points behind Idle it may not be too late to catch them! 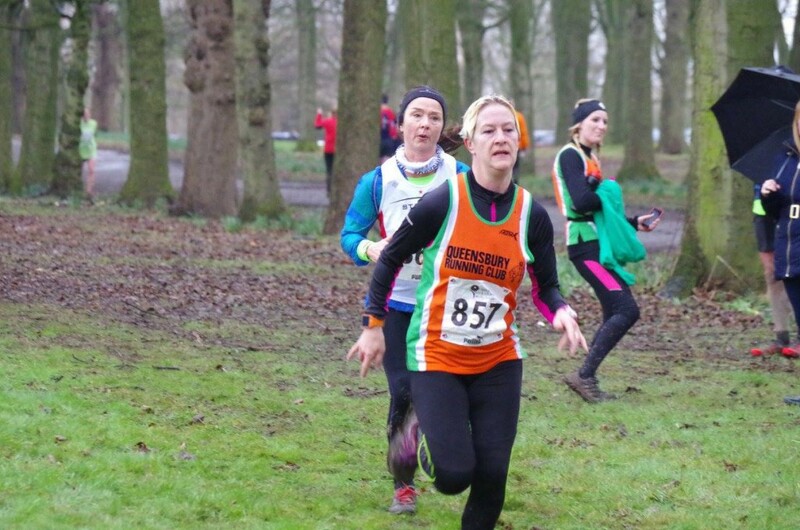 The first race of the West Yorkshire Winter League was on Sunday, hosted by Dewsbury. A 5 mile course consisting of two reasonably flat laps, just a couple of small climbs and some winding trails. We were 8th in the Mens Competition, 4th in the Vets Competition and 9th in the ladies competition. Some excellent performances and with a few injuries and and absences due to enter the fray in the next race as Pudsey we should be able to climb the overall standings!